Streeton Lawyers > Blog > Uncategorized > What Criminal Charges is the Royal Commission suggesting for our banks? Streeton’s Law Blog covers the notable legal cases, trends and personalities of interest to the business community. 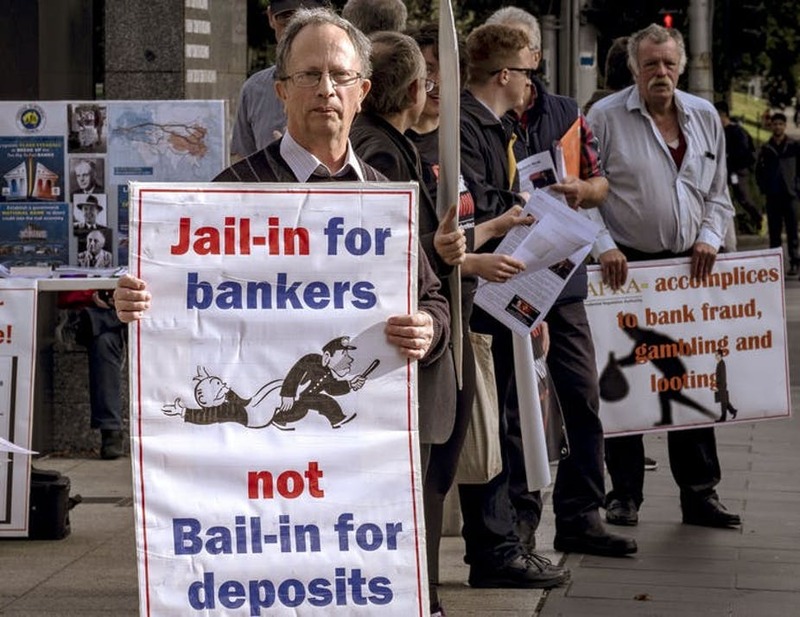 What Criminal Charges is the Royal Commission suggesting for our banks? Almost everyone in Australia would have heard about the scathing report Justice Hayne produced in relation to the conduct of our financial institutions yesterday, which came after the conclusion of the Royal Commission into Misconduct in the Banking, Superannuating and Financial Services Industry. Specifically, Justice Hayne heavily criticised banks for taking payment for financial services they never intended to or knew they could not supply. The media is reporting about the criminal charges that Justice Hayne recommended ASIC investigate, but what are they and what are the potential consequences for our banks? The main offence Justice Hayne speaks of is section 1041G Corporations Act 2001, specifically: Under Section 769B of the Corporations Act 2001, a person can include a ‘Body Corporate’ i.e. a bank, if the conduct engaged in was on behalf of a body corporate. In criminal legislation, dishonesty is most commonly seen in offences of fraud, for example in the Crimes Act 1900 ‘Dishonestly obtaining a financial advantage’. The offence of Dishonest Conduct relies on similar concepts of dishonesty. Criminal offences have a very high burden of proof, specifically the elements need to be proven “beyond reasonable doubt”. For a person or body corporate to be found guilty of ‘Dishonest Conduct’ there needs to be evidence to establish beyond reasonable doubt that the person or body corporate physically engaged in the dishonest conduct, and evidence that establishes beyond reasonable doubt the mental element. This is that they intended to engage in the conduct in circumstances of dishonesty, or were reckless as to the commission of the dishonest conduct. A ‘dishonesty offence’ in the Corporations Act 2001 therefore has criminal penalties. The maximum penalties for a person being imprisonment for 10 years and or a fine of up to $495,000. As you cannot sentence a body corporate to imprisonment, the maximum penalty is a fine of up to $4,950,000 or three times the total value of the benefit obtained. Individuals have been charged with this offence before and usually tried before the District Court of NSW. It will be interesting to see where and how the banks will be charged and tried. This is an offence that covers banks who do not report to ASIC breaches of their financial services ‘general obligations‘ within 10 days after becoming aware of the breach: section 912D Corporations Act 2001. The Royal Commission determined that banks had numerous breaches that were delayed in being reported to ASIC or not reported to ASIC. Like section 1041G, if a ‘financial services licensee’ does not report a breach in time, it is an offence under the Corporations Act 2001 and faces criminal responsibility. The maximum penalty for a person is 1-year imprisonment and or a fine of $5,500. For a body corporate, the maximum penalty is a fine of $27,500. This is an offence under the Australian Securities and Investments Commission Act 2001 (The ASIC Act). At the time of acceptance, the person intends or there are reasonable grounds for believing that the person will not be able to supply the financial services or to supply financial services materially different from the financial services in respect of which the payment or other consideration is accepted. Unlike the Corporations Act offences however the maximum penalty for both person or body corporate is a fine only. For a person, the maximum penalty is $220,000 and for a body corporate $1,100,000. A person or body corporate must be charged within 3 years of the commission of the offence, which may limit the number of people able to be charged who were investigated in the Royal Commission. We now await the results of ASIC’s investigation to learn whether any individuals or banks will be charged, for the alleged wrongdoing the Royal Commission has reported.